Disclaimer - This is a work of fiction. All characters, events and locations mentioned here are fictitious! There was no one in sight for miles as she grasped my fingers tightly and looked straight into my eyes. She bit her lips displaying her unquenchable thirst to love me and spun my fingers in her warm hands. She hugged me and walloped over me. "Never, not this time, my love," she stared into my eyes. I seemed to have been mesmerized by her magical eyes and smitten by her charm. I lay there on my seat and Kyra stood close in front of me. "You got the most charming eyes," I said. "Thanks, but yours allure me to no end." Her casual and witty ways of replying to my comments never ceased to amuse me. I could feel her body touch mine and the blue ocean of her eyes made me go astray. A lovely nose, tiny and cute only adorned her beautiful face. She was wearing a tight jeans and a red top. She nuzzled my nose. "You probably were aware that I was thinking about the cuteness of your nose," I smiled. "Oh yes, I am a mind reader. But today, you are forcing me to lose myself to you," she bit my ears. Kyra was a complete stranger to me until one casual day which glittered my life. It was a fashion show, the first of my designer friend Ricardo Silva. Models walking the ramp and I had my keen eyes on each one of them until it was Kyra’s turn. My eyes refused to blink as I saw her smile at me. That gorgeous smile still makes my heart skip a beat. I approached her later and spoke my heart out. She was probably impressed by me. We dated each other and fell in love. Today we celebrated our 3rd anniversary on this lonely Island. "Ouch, it hurts," I said. "Stop doing this," I said dizzily in my thoughts. "Aww, don't worry, you don't need to fret. I am yet to do anything," she smacked her lips, flashing red which resembled blood. "We will reach the Virgin Islands in 1 minute," I smiled as our boat made its way to the shore. It was a paradise located in the middle of the Atlantic Ocean. "Common Doctor, common ....chase me." She got down and ran towards the island. I carried the bag and chased her. She paused and I toppled over her. She fell down and I bumped over her. "You are so heavy, Ouch… get up man," she screamed. "What ?" I soon got up. "Never talk to me," I said and walked towards our boat. I observed the indefinite length of the ocean which impressed me. The Ocean smiled at me and I turned behind to see what Kyra was doing. She was standing near the coconut tree and glaring at me. I looked around and observed the little flamboyant fishes which swam forming a particular pattern. Kyra came towards me. "Baby, we are here at this exotic beach for our summer vacation. How can you not talk to me?" She asked me. "I am not talking," I grimaced. "Hello Doctor, Hello Doctor, my heart aches. My heart beats my pulse races. Come to me," she whispered into my ears. "Will you cure me for my heart beats only your name?" She continued. "I need no tablets, I need no pills. I only need you and your love. You will cure me no doctor? I only need you Oh doctor!" "You very well know how to seduce a man, but I am not convinced my dear heart patient." "Huh.I am going," she said and with a swift movement she left. "No one is watching us, but you don't care for me. Die in your boat. I'm going," she screamed at the top of her voice. Spending 3 years with her I was now well aware of a girl’s usual antics. She sat down resting her back on the trunk of the Coconut tree. There was complete silence for 5 minutes. She stood up like a wounded warrior, yanked her red top and unzipped her jeans. Slowly and steadily I saw her pulling down her jeans. She was tempting me. I could not resist and ran towards her. She lay still in her bikini on the tepid sand. "I have come to cure you my dear heart patient," I said delighted by her curves. "Your heart aches, your heart pulse races and your heart beats only my name, right?" "I know a cure for that," I grinned. "Steal my heart with a kiss and you will be cured,"
"Such an ambitious charlatan you are! I won't get deceived," she winked. "Do not disappoint the doctor," I said. "OK. Here is your chance my beloved doctor to know the deepest of my heart’s mysteries," she bit her lips. My heart skipped a beat when I saw her enticing me. "I will explore you in front of this ruthless sun," I smiled at her. "Yes, indeed ruthless the stupid sun is! 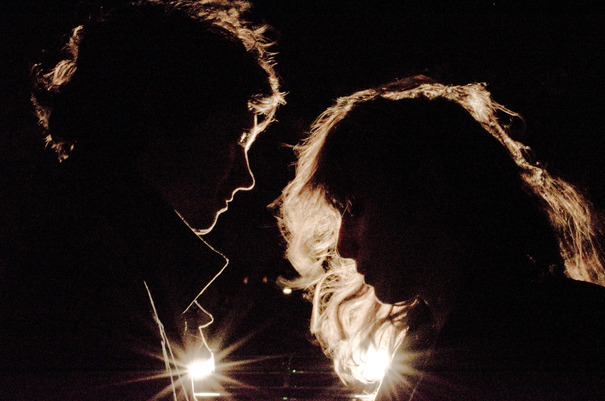 See how brightly it is shining making our stay miserable," she said with a frown. I cleared my throat and said, "We are here for our summer vacation. I will tell you the solutions". My fingers walked wildly across her shin, racing and feeling every muscle of her legs. "I observe the roughness in your legs. They lack moisture as the sun selfishly snatches it all away," I said. My fingers moved ahead and raced towards her thigh, too soft and sensitive. She moaned as I jabbed my fingers against her thighs. “The tan on your soft skin is hurting to see, Love your skin like I love thee," I winked at her to which she smiled. I circled my fingers around her navel, round and round. I moved my palm covering her entire belly which was supple and flat. "I see freckles on your curvaceous belly. Its beauty has been eclipsed as the beauty of moon by harsh morning rays," I said. I moved my fingers gently towards her top. She bit her lips and closed her eyes. "You have been digging too deep," she winked. She held me by my collar and kissed my hands. As we feverishly kissed I paused to say, “Your lips so dry, like a red petal mercilessly crushed, the sun has brutally murdered the pulpiness of the pink flesh”. "Look at the patches on your skin which makes you go red just like a beautiful red hulk," I laughed. "Idiot.. bad you are," she retorted. She moved from side to side, her bare back now facing me. “Ah! This lovely canvas seems to have lost it sheen and glow as the sun drags away the necessary vitamins and leaves you with only the harmful UV-rays." I said. “Oh, my love! How can we have fun under the sun? It watches us with cruel eyes and laughs on my love’s misery." "What.. now this is getting complicated. Please care to explain," she said. "Take precautions when you go out in the sun. Those rays have no right to touch my lady love." “Let the sun curiously watch us having fun. Will you apply the sunscreen on my body?” She notoriously asked me and handed me the Lakme sun- block cream. "You know I met a beautiful person called Kyra.She is a sunscreen expert and provided me great insight about harsh effects of UV-rays and solutions to beat the summer heat. She even gifted me the sunscreen stating it to be the best,” she proudly announced. "Despite being a busy woman, she has time for friends.She is a music freak and loves to travel," she added. "That's interesting and I am amazed that you guys even have the same name,” I said. I applied the sunscreen on her body starting from her shin and gently moving towards her thigh. Stopping every little bit to kiss her bare skin. “ I wish that you explore me more”. “Honey, but some one’s watching us,” I pretended concern. “Who? ” she consciously looked around and asked. “The bright yellow sun,” I pointed above and smiled. 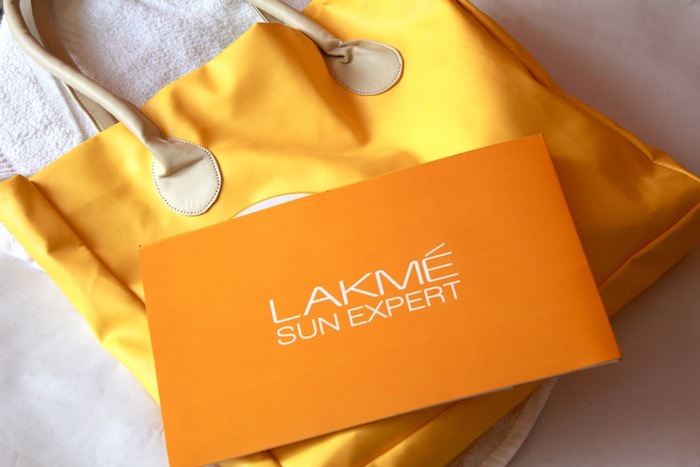 She snatched the sunscreen from me and threw it up, pushing me on the hot sand and falling onto me and said, “Lakme sun expert is there to tackle the blazing rays, you better engage yourself in exploring me”. PS - ALL THE PICTURES HAVE been TAKEN FROM GOOGLE IMAGE SEARCH. :) nice read. I am having fun traveling with friends of Kyra. Best to you . Nice read...Recently I've been into this series called "LOST" reading this makes me more lost on a island. Hey! Was a good read :) Kyra seems like an...interesting character! Even your Ex can ruin your life. Autobiography of a 11 yr old..
Rendezvous with the sunshine girl! The World in my Pocket!